ISM Raceway near Phoenix occupies a special place in Clint Bowyer’s heart and history. The 39-year-old Emporia, Kansas native made his Monster Energy NASCAR Cup Series debut on the mile oval in the Arizona desert on April 23, 2005, driving for Bill McAnally and Richard Childress. He started 25th and finished 22nd, one lap behind race-winner Kurt Busch. Busch, Kyle Busch, Ryan Newman, Jimmie Johnson, and Kevin Harvick are the only drivers who were in the field for Bowyer’s debut in 2005 who will race at Phoenix again in Sunday’s TicketGuardian 500k. One of the biggest changes besides the driver lineup since Bowyer started in the Cup Series is the amount of technology available to fans and competitors alike. Racecar drivers now rely on digital readouts instead of analog gauges on their dashboard. Crews can send huge amounts of digital information to and from the track. Fans at home have as much information as a crew chief on the pit box while fans in the stands can follow timing and scoring and browse the Web at tracks like Phoenix that offer free Wi-Fi throughout the facility. Fans and drivers alike are able to Tweet, Instagram, Snap and Skype every moment at racetracks across the country. It’s fitting that, this weekend in Arizona, Bowyer will drive the No. 14 ITsavvy Ford Mustang for Stewart-Haas Racing. (SHR) ITsavvy (pronounced I-T-savvy)is a second-year primary sponsor in the Cup Series. The Addison, Illinois-based company is one of the fastest-growing resources for integrated IT products and technology solutions in the United States. ITsavvy has catapulted from a Midwest start-up to a national leader in IT products and solutions very rapidly. Founded in 2004 by Mike Theriault and Chris Kurpeikis, ITsavvy has been consistently recognized as one of the fastest-growing businesses of its type. ITsavvy is a single-source, end-to-end IT partner. The company combines a comprehensive, value-added reseller business of more than 1 million computer, hardware and software products with an industry-leading advanced solutions group. ITsavvy has access to $8 billion in daily inventory in 46 distribution centers around the country with the ability to ship in-stock items the same day they are ordered. ITsavvy will also serve as the primary sponsor on Bowyer’s No. 14 Ford at Dover (Del.) International Speedway in October. 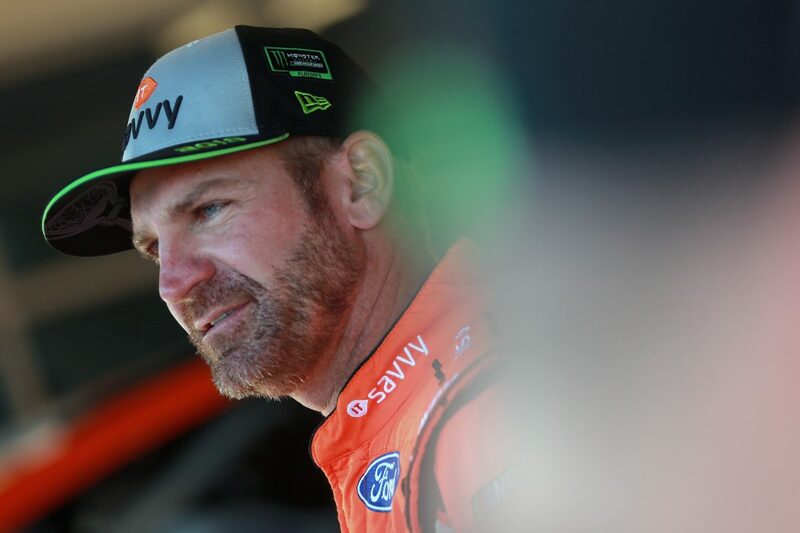 Bowyer hopes more race fans will know the ITsavvy name after Sunday’s 500-kilometer race at Phoenix. It’s the fourth event of the 2019 season. Bowyer enters 13th in the points a week after finishing 14th at Las Vegas Motor Speedway. Phoenix marks the second of a three-race West-Coast trip for the Cup Series. While so much of the sport and the world is different since Bowyer’s Cup Series debut in 2005, one thing remains the same. What challenges does Phoenix pose? What are your thoughts on technology in NASCAR and ITsavvy’s role with SHR?